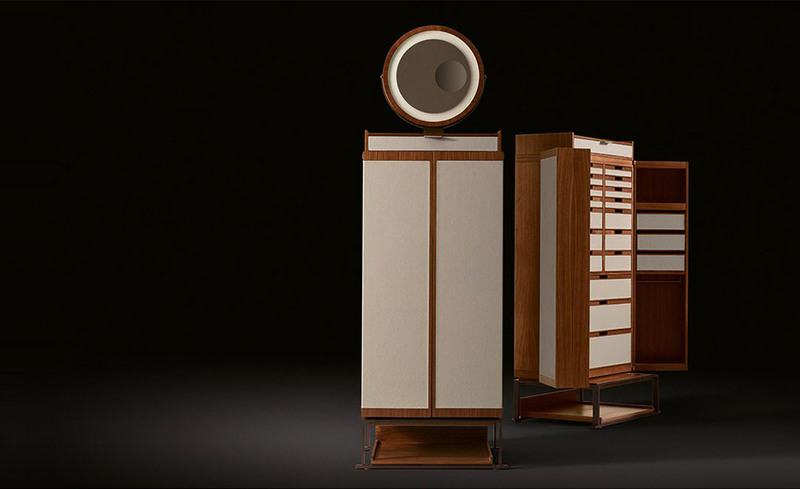 Designed by Chi Wing Lo, the Oro cabinet has two souls, the one it shows to the world and a more private and intimate one, which meet in a space that concentrates everything you need for regeneration. Equipped with invisible mechanisms, it is suitable for storing precious objects. Oro’s frame is in walnut canaletto wood with leather inserts. 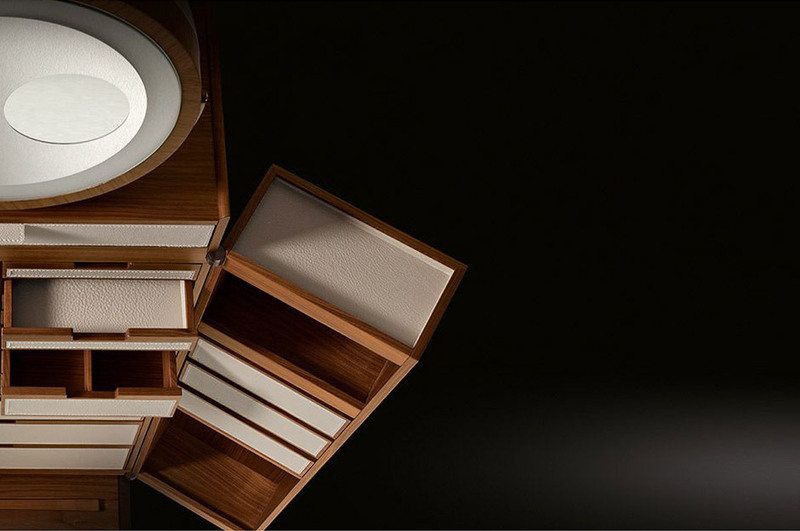 The cabinet is made up of a series of a unique mirror, drawers with three different sizes and two storage doors with internal drawers and a hidden glove box. Ora features some bronze elements throughout. 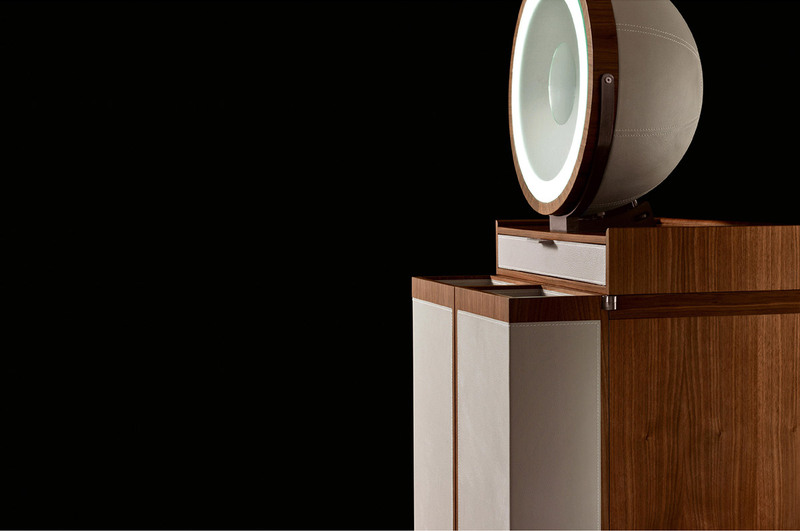 Lovingly manufactured by Giorgetti in Italy. 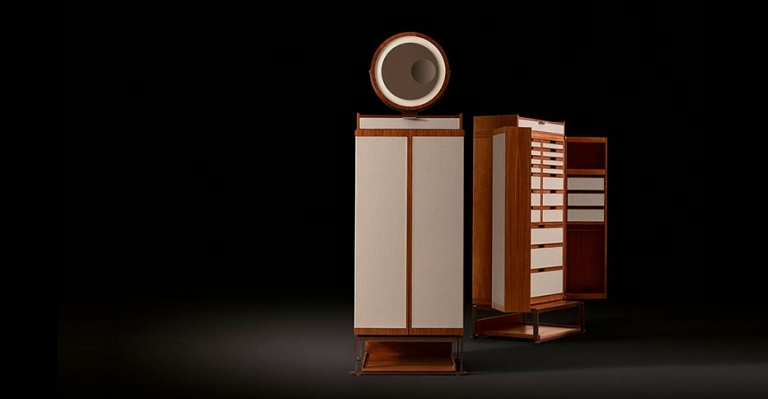 For more information about the Oro cabinet, email us at sales@arksf.com or give us a call 415.565.7200.